Many women have used Johnson & Johnson Baby Powder or Shower to Shower Body Powder and tragically developed ovarian cancer without ever being made aware of ANY existing risk. To find out your legal options, reach out to us for a free consultation – 1-800-603-6933. There is no obligation or risk associated with your call, and we will keep your information completely private. 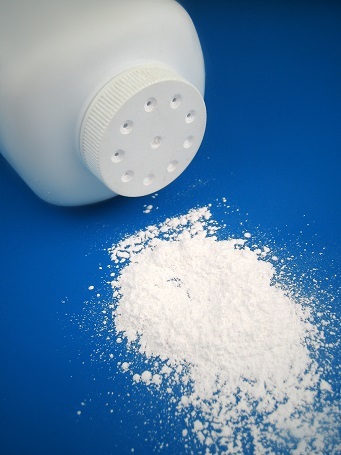 The family of a victim of Johnson & Johnson talc products developed ovarian cancer after regularly using Baby Powder and Shower to Shower Body Powder, both talcum-powder-containing products made and sold by the company. This family was awarded $72 million (there’s no amount that can ever really make up for the gravity of this personal damage done) in February 2016. Johnson & Johnson was found guilty of negligence, conspiracy, and fraud by a Missouri state jury. The victim was Jacqueline Fox of Birmingham, Alabama, who unfortunately passed away from ovarian cancer caused by Johnson & Johnson before the verdict was announced. Fox used Johnson & Johnson products daily for more than 35 years. Court testimony showed that approximately 1,500 women per year will die of ovarian cancer linked to Johnson & Johnson Baby Powder and Shower to Shower Body Powder products. An extremely disappointing detail of this already frustrating situation: Johnson & Johnson internal documents show that the company had prior knowledge of the link between ovarian cancer and its products and intentionally concealed the findings from the public. A lawyer representing the Fox family stated that J&J “knew as far back as the 1980s of the risk” of ovarian cancer, failed to alert consumers and instead continued to include the ingredient in its products. We applaud the efforts of the dedicated lawyers involved in this case who have battled a corporate giant and faced unfavorable odds. Because of their accomplishments in exposing the truth, they have likely saved the lives of countless women across the country. As Johnson & Johnson makes some of America’s most commonly used hygiene products, this news is particularly devastating. The company has worked hard to establish its reputation as a safe, family-friendly corporation that designs items to keep people clean and happy. An image of a mother and baby smiling fresh from the shower may be one you associate with Johnson & Johnson. It is a sad day when we find out that this image is fake and they knowingly exposed generations of Americans to an increased risk of cancer. Multiple studies have been conducted that connect talcum powder with ovarian cancer, a common ingredient in many Johnson & Johnson products. A report published in The International Journal of Gynecological Cancer in May 2015 found that talc use increases the risk of ovarian cancer by 30 to 60 percent. Another study by the Journal of the National Cancer Institute confirmed these findings. To further prove these results, scientists have actually discovered talc minerals inside the cancerous tumors removed from victim’s bodies. Ovarian cancer is the most lethal and serious forms of gynecological cancer because it most often remains undetected until late stages. At that point, it is difficult to do much to fight the illness. We must ask why this huge corporation chose profit over the health of its customers for decades. They made a conscious decision to not take the product of the market, to not change the formula, and to not alert consumers of its danger. Instead, they took the money of dedicated customers and innocent women like Fox until she literally died from using their products. How many other women will die or suffer from cancer because of Johnson & Johnson’s greed? If you or a loved one developed ovarian cancer after using Johnson & Johnson products, know that you are not helpless. You do have possible legal options to take in this horrible situation. We recommend you consult with a lawyer immediately to discuss your specific situation. The Hayes Firm can connect you with an experienced lawyer working on Johnson & Johnson product liability claims today. We will connect you with a knowledgeable lawyer completely free of charge. Please contact The Hayes Firm today for your free consultation.